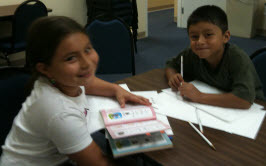 The Vecinos Unidos Summer Program just concluded, and was a great success! With cooking lessons, Mad Science presentations, reading and field trips, students kept their academic skills sharp while still having fun. Thanks to all of our wonderful volunteers who assisted with the program. School is starting….won’t you join us?